Get Kundli based accurate predictions for your whole life with Big Horoscope. Know about your job, business, education, career, family, future and more. Know important muhurats, lagnas, yogas, gemstones, Yantras and other information. Easy, economic and fast. Email is the fastest mode of sharing your reports at once. What will you get in 100+ pages Big Horoscope: Detailed predictions on marriage, career, finance, health, children, property, family etc. Dasha analysis for life. Varshphal for 10 years. Favorable period for marriage, career, business. Gemstones and Remedies. Sade-sati, Kaal Sarp, Mangal dosha. Bhav Phal and Graha Phal. Detailed calculations - Parashari, KP, Lal Kitab. 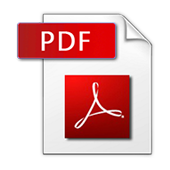 Note: You will get AstroSage Big Horoscope PDF in your email containing 100+ pages. Life is full of problems, challenges, compromises, and what not. Whether good or bad, everyone wants instant solutions and answers for these situations. AstroSage Big Horoscope Report is prepared keeping in minds such needs of people. Thus, it will reveal important secrets of your whole life, will provide important predictions, effective astrological remedies and solutions to help you overcome hurdles, pains and sufferings in life. You will also find information like best gemstone, yantra, jadi, lucky color/number for your good fortune and much more. In other words, this report is the key to your growth and success. 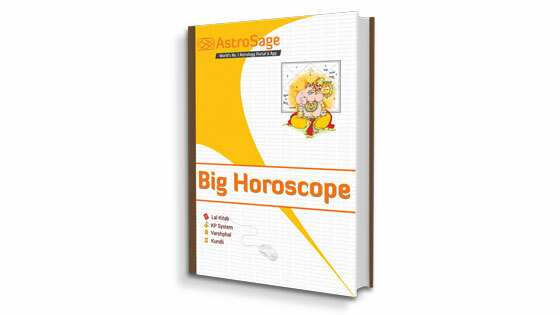 AstroSage Big Horoscope Report is a 100 pages report that reflects all the important secrets and predictions related to your whole life. Whether it is job or business, education or marriage, children/family or love life; you will get all the solutions related to these important aspects of your life. Furthermore, you will get yearly horoscope report for upcoming 10 years. This yearly report will include analysis of planetary positions and their good and bad effects on your life. So, order this report now to avail its astrological benefits. Will you get a government job? Which gemstone is beneficial for you? When will you get married? How to improve your relationship with your spouse? Get answers to such important concerns of your life in this report. Planetary positions in your Kundli, their influence on your zodiac sign and other details are analysed to offer accurate and reliable Kundli based horoscope predictions for your life. AstroSage Big Horoscope Report is prepared after thorough astrological analysis of your natal chart. We have a benchmark in delivering service reports within or even before the time committed to our users. So, you get the best answer for your query as promised and within a specific period. Q1. How will I receive the report? All reports are sent via email. However, in case of Trikal Samhita and Big Horoscope printed versions, we will be sending you the same via courier/speed post. Q2. When will I receive the report? You’ll receive your report within 24 hours of payment. This is the maximum time we require and you may get it before that as well. Q3. Will my personal information be kept confidential? I was very curious about by fate this year because last year was a bit tough for me. Trikal Samhita has given me a lot to plan for this year. This report is really comprehensive and has every minute detail about me. I highly recommend this to everyone. I was quite impressed with the free report available at AstroSage and this forced me purchase Big Horoscope as well. Big Horoscope has a detailed analysis of each and every aspect of my life and I am really happy to have this.